Hiring your first employee is a major achievement worth celebrating. So your business is really taking off and you have more work than you can handle alone? That’s great! You might get a case of nerves if you’ve never been an employer before. There’s so much to organize and so much to do. But if you set out your plan first, getting through it is the easy part. Here’s what you need to do to stay legal and compliant with federal state and local regulations. Before you think about placing a job ad, you’ll need an Employer Identification Number or EIN that’s issued by the IRS. It’s also known as a Tax ID number, and the Small Business Administration says that it’s sometimes called a Form SS-4. You need an EIN from day-1 as an official employer to report your taxes and other related documents to the IRS, and you’ll also need it for certain employee documents. Check out the EID information page at the IRS website. 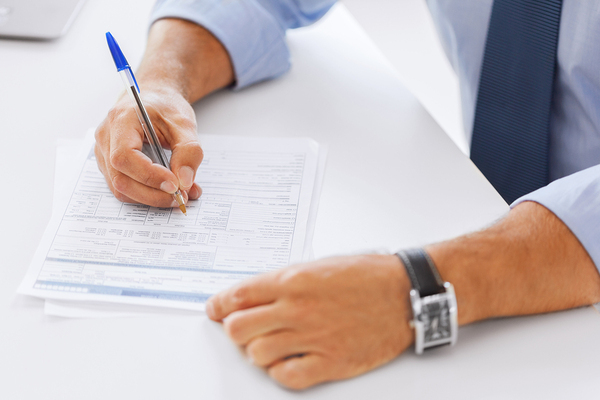 All employers must keep employment tax records for the IRS, and you must keep them for 4 years. In addition to compliance with IRS regulations, these records also contain valuable information about the financial fitness of your business. Check out the IRS publication, 2016 Employer’s Tax Guide Circular E, which breaks down the employer tax information that you need to know. You’ll have Social Security wage and tax statements to prepare, which you can learn about here. And if your state has income tax, take this link to find specific state tax information that applies to you. The I-9 or Employee Verification Form lets you determine whether an employee is eligible to work in the United States. It’s not as complicated as it sounds. You only need to verify that the photo ID presented by the employee matches the information on the form. And if you have a question about eligibility, you can verify the information online through the E-Verify service. Every person who is hired is reported to a state-level directory within 20 days of the hire. The SBA explains that all employers are required to register with their state New Hire Program, and each state is different. Information here will explain what you need to do. Once the mountain of paperwork is done, you’ll only have to revisit some of it quarterly or annually. You have three choices with worker’s compensation. You can offer it as a self-insured plan, which is costly, or you can obtain worker’s compensation insurance through a commercial insurance provider. Alternatively, you can work through the state-level Worker’s Compensation Insurance Program. Contact your state office for more information. Every employer is required by federal and state labor law to hang certain workplace posters where all employees can see and access them freely. The U.S. Department of Labor and the applicable state agency provides the posters at no charge. You can find different federal posters at this link. For your state-level posters, contact your local state Department of Labor. The SBA says that in general, “employers who pay wages subject to income tax withholding, Social Security, and Medicare taxes must file IRS Form 941, Employer’s Quarterly Federal Tax Return.” The IRS breaks down the meaning and requirements of Form 941 at this link, and they offer numerous other helpful links with further information on the same page. With all of your state and federal ducks in a row, you can get down to the business of setting up your employer organization system. The SBA says good records are keys to your success. Think about joining your local Chamber of Commerce as well as any other small business associations in your area. And the local chapter of any home inspector association where you hold membership is another wealth of information that can help. You’ve worked hard to get to this point, and now it’s paying off. There is a lot of paperwork involved with setting yourself up as an employer, but don’t let it discourage you. Once that’s out of the way, you’ll be ready to start taking job applications and interviews. If you’re still in the contemplation stage about being a home inspector, ICA School has the program that you need. Get a free course demo today and try on one of our courses for size.